Whether you are doing a traditional or square foot garden, having a plan helps everything run more smoothly. Here is a simple outline for creating your square foot garden plan. I love using Excel, but you can use graph paper or just plain old paper! Step 1: Draw an outline of your garden. I’m going to use the example of my 4’x8′ garden bed. Go here to see a list of vegetables and how many should be planted in each square. Here is a list of the easiest vegetables for new gardeners. Write down a list of what vegetables you want to grow, and how many squares of each. Step 4: Plot where each veggie will go. Sunlight—plant taller plants to the North so they do not shade the shorter plants. Support—some plants like peas, cucumbers, and vine tomatoes will need a trellis. It’s best to put your trellis in a place where you can get to both sides of it, and where it won’t block your access to other plants. Companions—Look up your vegetable using the Companion Planting Tool and make sure it’s “neighbors” are compatible. Competing spaces–don’t plant vegetables next to each other that will be competing for the same space. For example, potatoes try to spread all over (or under!) so don’t put them next to onions or carrots. Would you like some feedback on your gardening plan? Find out how to submit your plan. If you have a hard time using Excel, you might try this garden planner–it is free for 30 days! I raised my first garden last year in raised beds and have transitioned them over to do square foot gardening this year. We have 2 beds, 4′ x 16′ x 1′ which we moved to a better location in our yard, added compost and vermiculite (we already had a good garden soil in them from last year), and added grids. I am using an online garden planner from http://www.growveg.com to help me plan my square foot garden this year. It’s free for 30 days, has a multitude of plants available, and you can print the plan when you’re finished. It will even provide you with a plant list when you have finished. It will also help to plan traditional gardens. If you decide to become a member, it’s $25 for 1 year, $40 for 2 years. Great site. One tip for gardens. To get your kids excited about gardening, plants and nature, do what we do in our community garden. Add a TickleMe Plant. This is the only plant tha will close its leaves and lower its branches when tickled. The kids can’t wait to visit their Pet Plant. Search TickleMe Plant to find a kit to grow your own. Grows indoors too anytime of the year. May change the way you look at plants forever! I looked on YouTube to learn how to do a spreadsheet and I am now working on my Fall Planting plan! Whooo-peeee! Check out this post about types of plants–I realize it doesn’t discuss amount of sunshine directly, but it’s related. Hardy and semi-hardy plants grow well with less direct sunlight, while tender and very tender plants usually need maximum sun. Love your website. I love your sample plans and advice how to companion plant and design, etc, but I wondered if you’d put on a suggested color-coded plan with suggested veggies for first time gardner with three 4×4 beds like you advise for a first time person. Is there something like that already in your book, so I don’t have to think about it? I just want you to tell me what to start with and how to arrange it. 🙂 Dang, I know I’m being difficult. For traditional gardens, row length and width may vary, but with all the square foot gardening plans you find on my site, one square is one foot. I’m not sure which Finished 2010 plan you are looking at–want to add a link? In the Finished 2010 gardening plan … are there 3 rows of beds and how big is each bed ??? Kathy–it would depend on how your garden is oriented. You want taller plants on the north, so they don’t shade shorter plants. Unless you want shade (like with lettuce). So long as you take this into consideration, I think you’ll be just fine. I have length but not much width to my garden. (Maybe I can expand next year), but I was wondering about “layering” the garden: tall plants, like the vining plants maybe to the rear, graduating to shorter plants, like strawberries in the front. How would I go about this?—Also, as far as flowers in a veggie garden: Some flowers are edible, as well as affording color and attracting bees for pollination. Probably. 🙂 I didn’t factor in flowers with the vegetables because it all gets so complicated! 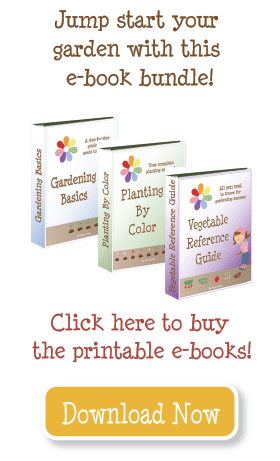 But do a search on companion planting and you should find some good info. I have just been winging it with my garden and through some flowers in my raised beds so not to waste the bulbs this past fall. I was not going to dig them up. I was wondering if I shouldn’t plant any vegtables around any certain type of bulbs. I know “they say” you can trellis zucchini and summer squash, but I’m not sure I really believe it. Pumpkins and winter squash, though the leaves are big and they do take up a bit of space, they grow long and winding. I think you can trellis that (though you definitely need gloves!). But zucchini and summer squash grow huge leaves mostly in a big circle. They do vine a little, but I’m not sure taking that up will really gain you any space. If anyone has tried this and has pictures, send ’em my way! I have notice that you say to give zucchini and summer squash 9 square feet in the garden. Is this recommendation affected by whether or not you are planting them to run up a trellis or do you recommend giving them the space regardless? Thank you in advance for your help and for all of the wonderful information that you have up for us newbies to SFG. Nope, to plant. This is what I did before I developed my Planting By Color schedule. Ok, so this may sound like a dumb question, but is it color coded by week to harvest? How do you show multiple plantings Liek after the carrots are harvested you want to plant spinach or lettuce? That has been the hard part for me to figure out especially since one square will get harvested maybe a month before the other square so multi-sheets don’t work very well. I have been reading your blog for over a year and never noticed you color code. Or maybe I didn’t pay attention. Like you I plan my garden in spreadsheet format (and love the new companion tool for that!!). Now I’m going to color code it. Brilliant!! !